Happy 2014! How’s them reSOlutions comin? All around the world, people are ushering in their fitness goals as well as personal goals to make 2014 great. Ever wondered how others keep fit all over the world? 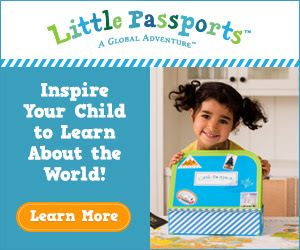 Little Passports has some great ideas and suggestions. Enjoy! January is the time of year when people all over the world make resolutions, and that’s exactly what Sofia and Sam of Little Passports are doing! This year they are promising to be more active. Join us as we travel the world discovering new sports and activities that will make you want to move around every day. The majority of Australia’s population lives near the coast, so guess what sport is popular in this country? Surfing! Australia’s surfing culture is inspired by the surrounding waters. They enjoy the Southern Ocean in the South, the Indian Ocean in the West, the Pacific Ocean in the East, as well as the Timor, Tasman, Coral and other seas. Australian children learn early on how to respect the water and look for any dangers. Their beautiful beaches and big waves are a surfer’s paradise! All you need is a net, a table, a small white ball, and two paddles to try one of China’s favorite sports: ping-pong (also called table tennis). China has one of the highest ranked players in the world and won many gold medals in table tennis at the 2012 London Olympics. Nearly 300 million people play this fun sport in China – that’s almost as many people as the entire US population! The game is fast, competitive, and takes lots of coordination. You can start out playing on your kitchen table (but please ask your mom or dad first). Brazilians go nuts for one sport in particular: football. Sam and Sofia have told you a little bit about this before. We even have a football game on our website! If you remember, this isn’t the kind of football that requires helmets and pads. All you really need to play is your foot and a ball. Sound familiar to you? You bet it does! We call it “soccer” in the United States. Brazil’s national football team is the most successful in the world, and they are scheduled to host the 2014 World Cup, football’s biggest tournament. Wouldn’t it be fun to visit Brazil during the World Cup? Have you ever heard of cricket? No, not the loud bug! We’re talking about India’s favorite sport. Cricket was brought to India by the British, and it is still very popular in both countries. Cricket is a bat-and-ball game that requires players to bat, score runs, hit sticks called “wickets,” and get the opposing player out. The teams take turns called “innings,” but cricket games have been known to go on for days! Children in India love to play cricket on the street, the park, the beach, or the school playground. Ice hockey is the national sport of Canada. As its name implies, it’s a sport that’s played on ice. The game involves two teams of six active players each, who use a hockey stick to shoot a puck across the ice while trying to score a goal. The puck is similar to a ball but is flat on the bottom to help it smoothly glide across the ice. Every player has to have balance, coordination, and know how to ice skate very well. Although it is most popular in colder climates like Canada, ice hockey is now played all over the world. It is played here in the United States from Los Angeles to Chicago, and even in sunny Florida! Do you have an ice hockey team in your town? Or perhaps an ice skating rink nearby where YOU can learn to skate? Sam and Sofia are ready to try all of these new sports! Which one would you like to try? Bring Little Passports into your child’s life in 2014 to teach them about all of the fascinating cultures around the world!